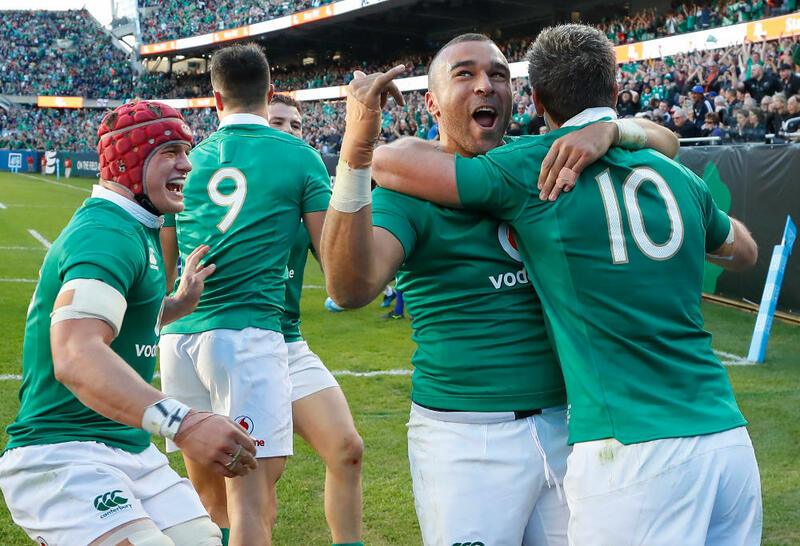 Overnight the men in green downed defending champions England 24-15 at Twickenham to claim their third Six Nations grand slam to match their efforts of 1948 and 2009. Both sides crossed for three tries, but England couldn’t land a goal in 80 minutes. Ireland converted all their tries and added a penalty after leading 21-5 at the break. In a bizarre situation former England centre Andy Farrell was Ireland’s defence coach charged with keeping his son Owen quiet as England’s fly-half and goal kicker. Dad was the obvious victor. Apart from not landing a goal it was a bad night for England, losing their first game in 14 at home on the Eddie Jones watch and their third game of the tournament. Jones’s impressive record now stands at 28 internationals for 24 wins – an 85.71 per cent success rate, after having slipped from 96 per cent pre-tournament. For the record, Italy has chalked up two more records with their 17th successive Six Nations loss to equal France’s record set 98 years ago, and their captain Sergio Parisse has become the first to play in 100 losing Tests. But all the rage belongs to Ireland, with June looming large. 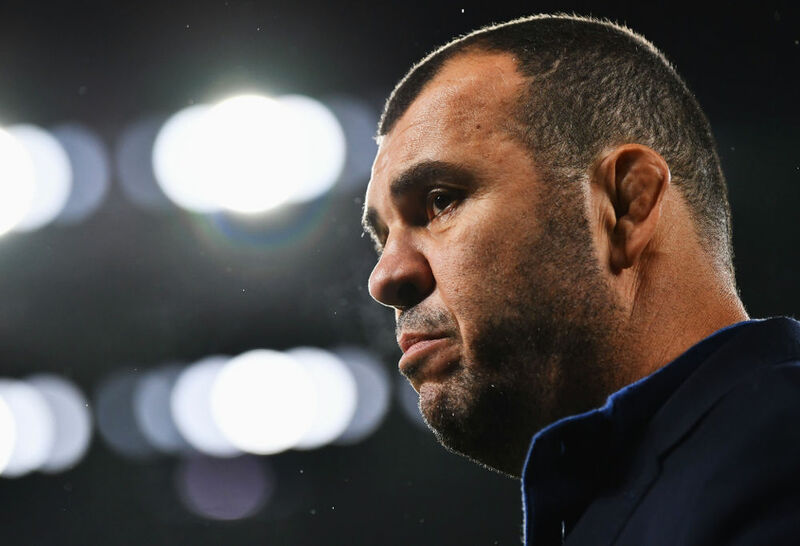 Two weeks ago Cheika flagged he would step down as coach if the Wallabies didn’t win next year’s Rugby World Cup. “We reached the final three years ago, and unless we improve to win the next one, I haven’t done my job, so I’ll step down,” he said. Seeing the All Blacks, Ireland and England outrank the Wallabies in the world pecking order, winning the coveted cup in Tokyo seems remote at this stage. But June will be the perfect litmus test, even though the 2019 RWC will be over a year away. Coached by Kiwi-born Joe Schmidt, Ireland has won its last 12 internationals and a third Six Nations in five years. Schmidt is so devoted to Irish rugby that he became an Irish citizen in 2015. Schmidt and Cheika have a lot in common, making June even more intriguing. They both keep looking for youth and depth in every position, but on current results the honours would have to go to Joe Schmidt, with 12 wins from their last 12 starts, while Cheika has won only six from his last 12. But in all fairness the Wallabies have played the All Blacks three times for a win and two losses, while Ireland hasn’t played the men in black at all. The Wallabies have beaten the Boks twice and the Pumas twice, while Ireland has beaten those two countries once each. And among Ireland’s victories are two over Japan and one each over the USA, Fiji, and Italy. So cold statistics often don’t tell the true story. But three tests in June certainly will.